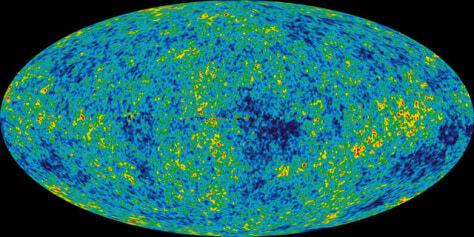 The detailed, all-sky picture of the infant universe created from seven years of WMAP data. The image reveals 13.7 billion year old temperature fluctuations (shown as color differences) that correspond to the seeds that grew to become the galaxies. This image shows a temperature range of ± 200 microKelvi.